John B. Etchepare died Nov. 24, 2013, at home in Fort Collins, Colo., surrounded by his family. Heaven needed another shepherd. He was born in Helena, Mont. April 22, 1939, to Paul and Hellen Dean Etchepare. After graduating from Randall High School in Denver, he attended Montana State University and was employed by Martin Marietta before managing a lamb feeding operation. He married Katherine Schraeder in 1961 and they had five children. She preceded him in death in 1990. For over 30 years John operated his family's Warren Livestock Company, with his father and brother until its sale in 2000. Additionally, he served as a Director on many state, regional and national Boards. He was a past President of the Wyoming Wool Growers, Western Range Association and the Old West Museum, and served on the Boards of the Production Credit Association, the American Sheep Industry, the American Lamb Feeders. 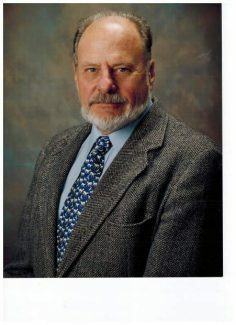 In 2009 he retired as the State of Wyoming Director of Agriculture. John is survived by his wife Karen Rose, seven children and twelve grandchildren. Mike (Kerry) Etchepare, Emporium, Pennsylvania; Mark (Kolette) Etchepare, Cheyenne; Janine (Jon) Roaldson, Bismarck, N.D.; John Etchepare Jr. (Corrina), Cheyenne; Robert Etchepare (Valerie), Colorado; Jim (Susie) Brailsford, Fort Collins; John (Sarah) Brailsford, Fort Collins. He is also survived by four siblings, Claire Markowitz, Nevada; Angie (Colin) Carter, Australia; Toni (Bill) Thomson, Cheyenne; Paul Etchepare Jr., Laramie. His parents, youngest brother Ralph Etchepare, and brother-in-law Mark Markovitz preceded him in death. John chose to donate his organs for the study of pancreatic and prostate cancer, and Alzheimer's research. Cremation is under Bohlender Funeral Chapel, Fort Collins. The family invited friends to a celebration of life reception at Little America in Cheyenne on Nov. 30. In lieu of flowers he suggested donations be made to Cure Alzheimer's Fund http://www.curealz.org , or Pancreatic Cancer Research http://www.pancan.org or the charity of your choice.